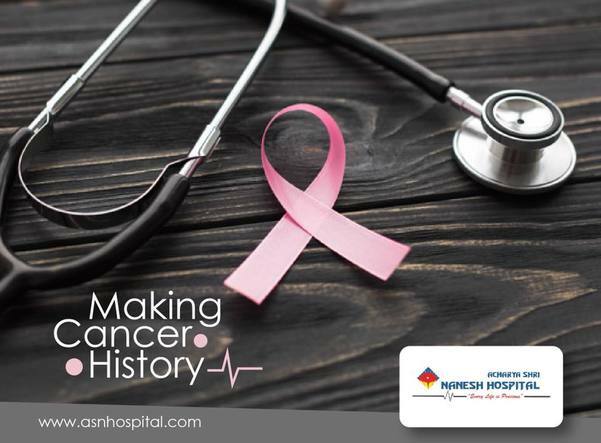 CANCER IS CURABLE IF DETECTED & TREATED EARLY Look for early symptoms of Cancer & Consult a Doctor • Lump or swelling. • A sore that doesn’t heal. • Changes in bladder or bowel habits. • Ulcer or White/Red patches in the mouth. • Lump or swelling in the breast. • Unexplained weight loss. • Nagging cough or hoarseness. • Recent change in the wart/mole. • Unusual bleeding or discharge. • Difficulty in swallowing or disturbed digestion. What can you do for your kidneys? Kidney diseases are silent killers, which will largely affect your quality of life. There are however several easy ways to reduce the risk of developing kidney disease. • Keep fit and active Keeping fit helps to reduce your blood pressure and therefore reduces the risk of Chronic Kidney Disease. The concept “on the move for kidney health” is a worldwide collective march involving the public, celebrities and professionals moving across a public area by walking, running and cycling. • Keep regular control of your blood sugar level About half of people who have diabetes develop kidney damage, so it is important for people with diabetes to have regular tests to check their kidney functions. Kidney damage from diabetes can be reduced or prevented if detected early. It is important to keep control of blood sugar levels with the help of doctors. • Monitor your blood pressure Although many people may be aware that high blood pressure can lead to a stroke or heart attack, few know that it is also the most common cause of kidney damage. The normal blood pressure level is 120/80. Between this level and 139/89, you are considered pre-hypertensive and should adopt lifestyle and dietary changes. At 140/90 and above, you should discuss the risks with your doctor and monitor your blood pressure level regularly. High blood pressure is especially likely to cause kidney damage when associated with other factors like diabetes, high cholesterol and Cardio- Vascular Diseases. • Eat healthy and keep your weight in check This can help prevent diabetes, heart disease and other conditions associated with Chronic Kidney Disease. Reduce your salt intake. The recommended sodium intake is 5-6 grams of salt per day (around a teaspoon). In order to reduce your salt intake, try and limit the amount of processed and restaurant food and do not add salt to food. It will be easier to control your intake if you prepare the food yourself with fresh ingredients • Maintain a healthy fluid intake Although clinical studies have not reached an agreement on the ideal quantity of water and other fluids we should consume daily to maintain good health, traditional wisdom has long suggested drinking 1.5 to 2 liters (3 to 4 pints) of water per day. Consuming plenty of fluid helps the kidneys clear sodium, urea and toxins from the body which, in turn, results in a “significantly lower risk” of developing chronic kidney disease, according to researchers in Australia and Canada. The findings, the researchers said, do not advocate “aggressive fluid loading”, which can cause side effects, but they do provide evidence that moderately increased water intake, around two liters daily, may reduce the risk of decline in kidney function. It’s important to keep in mind that the right level of fluid intake for any individual depends on many factors including gender, exercise, climate, health conditions, pregnancy and breast feeding. In addition, people who have already had a kidney stone are advised to drink 2 to 3 liters of water daily to lessen the risk of forming a new stone. • Do not smoke Smoking slows the flow of blood to the kidneys. When less blood reaches the kidneys, it impairs their ability to function properly. Smoking also increases the risk of kidney cancer by about 50 percent. • Do not take over-the-counter pills on a regular basis Common drugs such non-steroidal anti-inflammatory drugs like ibuprofen are known to cause kidney damage and disease if taken regularly. Such medications probably do not pose significant danger if your kidneys are relatively healthy and you use them for emergencies only, but if you are dealing with chronic pain, such as arthritis or back pain, work with your doctor to find a way to control your pain without putting your kidneys at risk.